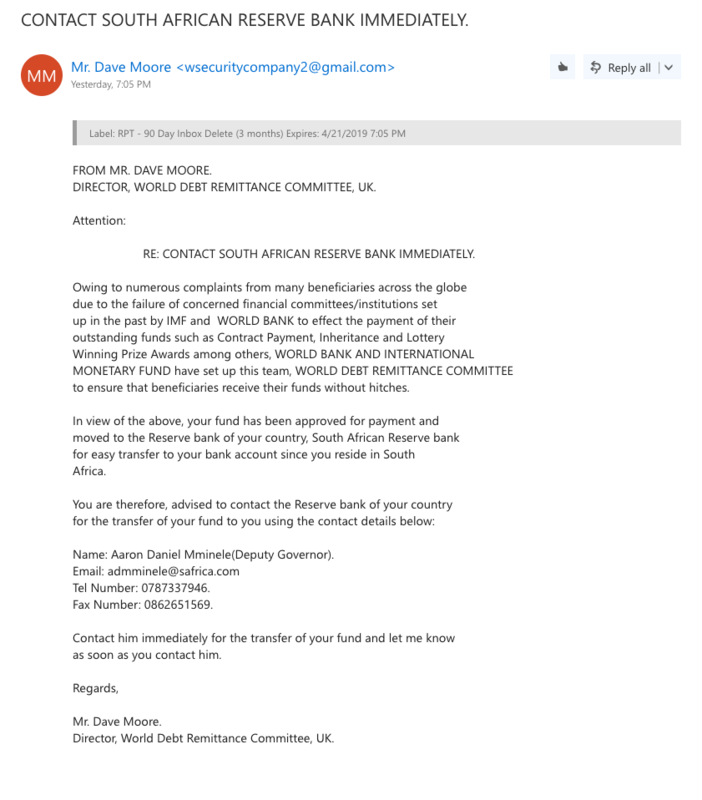 I recently received an email with this subject line: CONTACT SOUTH AFRICAN RESERVE BANK IMMEDIATELY and I am concerned that it could be an attempt at defrauding me. Let me know in the comments section what you think, please. Suspected scam to obtain \ make contact in order to scam.